“Here you have, listen to this”, said Peter Murphy to Ivo Watts-Russell on some day in the mid-eighties, handing him a cassette. The cassette wasn’t a demo of Bauhaus, but a copy of The mystery of the Bulgarian voices, a compilation of the Bulgarian State Radio & Television Female Vocal Choir, produced by Marcel Cellier ten years beforehand. The founder of 4AD was captivated when he heard the dissonant harmonies of that cascade of centenary folklore, to the point of feeling the need to re-release the album on his label. Enveloped in such a formula (and in the magnetic artwork by Vaughan Olivier), the choir opened the ears of a whole generation, becoming a reference in world music. 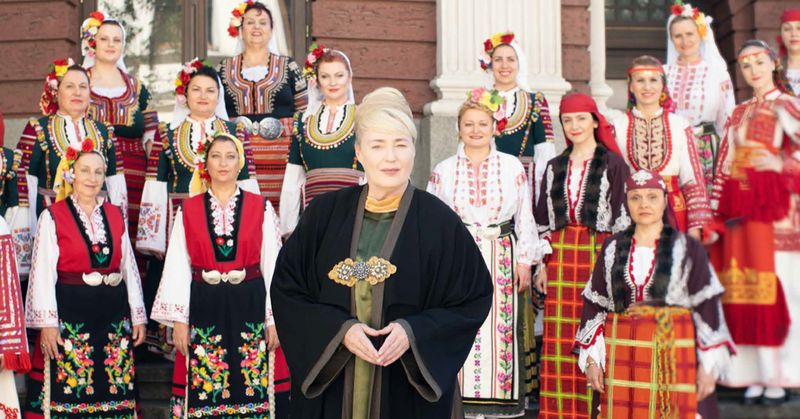 In 2018, and conducted by Dora Hristova, this matriarchal formation released the new reference BooCheeMish, inviting Lisa Gerrard –another voice that seems to exist outwith the confines of time– to join a chant that comes from the greatest depths of a culture not defined by its frontiers but rather by its tone. This alliance will be on stage in the Auditori Rockdelux, and everything points to it being one of those occasions when you will say “I was there”. Embrace the mystery.